There are of course cheaper pieces of furniture for sale than the ones you’ll find in the antique stores. This might be true when comparing just the purchasing price, but this reasoning doesn’t hold up when their future sales value is taken into consideration. Luxury goods tend to loose at least over half of their value once they leave the store for the first time. Antiques however aren’t discounted as second hand; with time their uniqueness actually remains or rises. It sells well after a life shared with (and being enjoyed and admired by) you, or remains at value under the care of future generations. Generally speaking antiques make for a good investment. For it’s future value to be at par or well above the current purchasing price it’s important to be sure each piece of antique is authentic. Selecting only the finest, high quality pieces is deeply engrained in our business. To help you find the best pieces we’d like to share criteria we take into account when we hand pick our items. If the piece is old, chances are that it is made from one solid plank of wood or different planks of various widths. Perfectly sized boards indicate new build. Large boards were commonly used because lumber was much more abundant in the old days. As a result, many tables and chests were often made with a single large board and the other parts were cut in awkward shapes to minimize wasted wood. 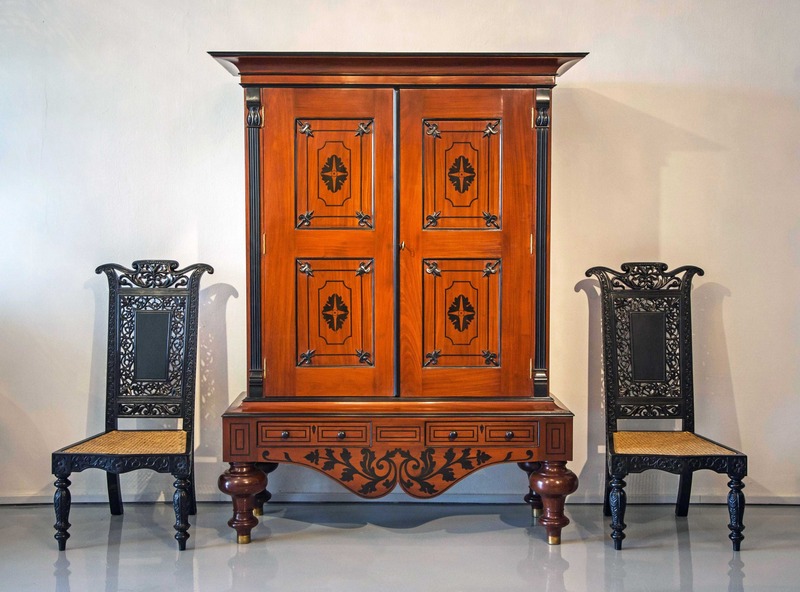 Fake antiques can have different wood grains in different parts of the piece; there will be different grains. Don’t judge too quickly though, because in the past often less expensive wood was used in places where it wouldn’t show, like the interior of a cupboard. No secondary wood might be an indication of a new construction. We mention it a lot, but the construction and carving skills of the carpenters in the old days were incredibly well developed. 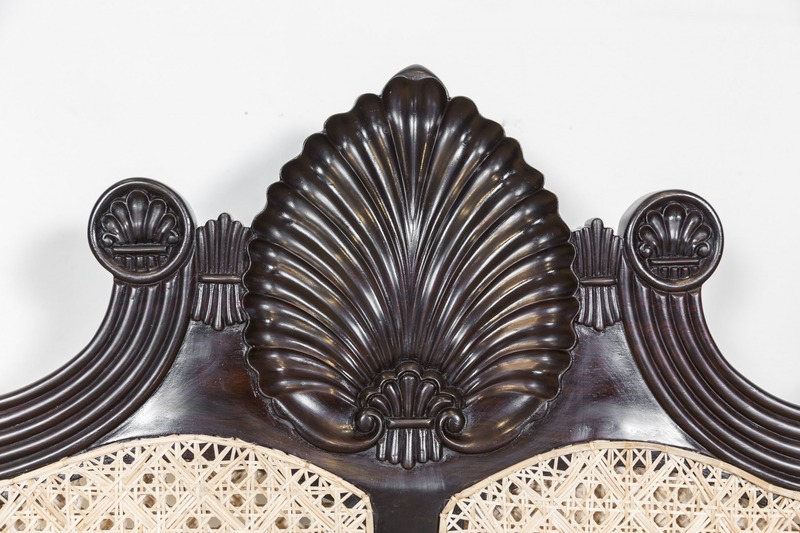 On current pieces do check the quality and details of carving: an original and complete carving on your piece adds to the price and desirability. If your carving was added with other carvings on a later date, the value of the piece is lesser. If your furniture has inlay, your piece can also have a greater value as it gets older. Dovetail joints are notches cut in wood so pieces fit together like puzzle pieces. Together with wooden dowel pins they make for a good indication of an original piece. However, if dowel pins are too sleek and clean/uniform, they are most likely to be cut by modern tools when they should have been cut by hand. 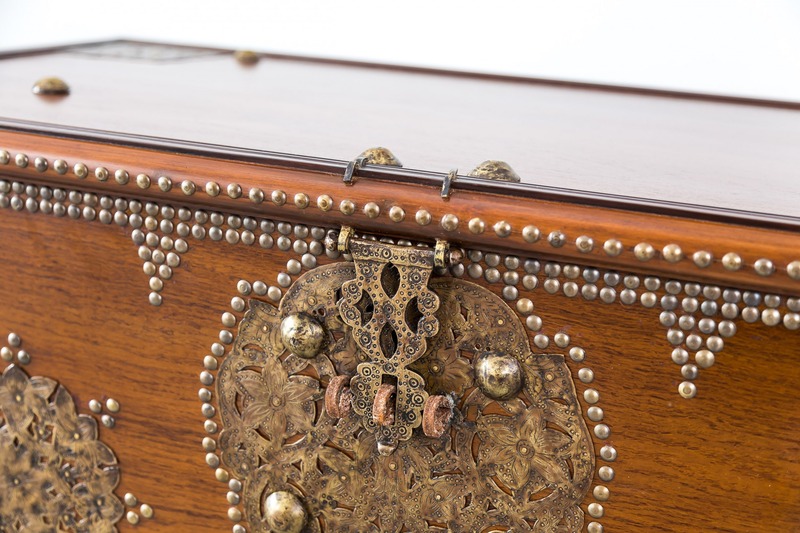 Handles are also important in dating a pieces, but it is more common to find pieces with replaced handles. Antique handles were cast by hand from a single piece of metal, usually brass. The nuts that attached the handles in the 18th century are irregular and circular. Newer nuts are hexagonal and machine-cut.